of all the special occasions in your life! 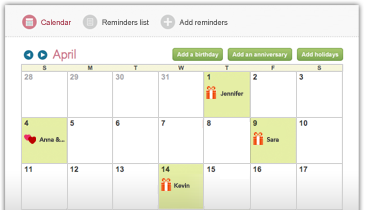 Punchbowl Reminders offers an easy and dependable way to keep track of important birthdays, anniversaries, and holidays. Just build your list and we will make sure you never miss another special occasion! Build your list of birthdays, anniversaries, and holidays.